Stage to Screen dramas are composed of powerful and heavy dialogue, focusing heavily on the commanding performances of actors and their ability to deliver lines. This enables the audience to decipher the messages that lay otherwise hidden within the dialogue and actions. August Wilson’s long awaited stage to screen adaptation of Fences will surely be next on the list of phenomenal films of this ilk. Coming to cinemas everywhere on 17th February, audience will witness the unforgettable performances of Denzel Washington and Viola Davis in this faithful adaptation that follows the fall of a father whose bitterness and false sentimentalities lead to his ultimate downfall. Here we take a look at other legendary stage to screen adaptations. Marlon Brando stars as the brash and crude Stanley Kowalski in the dramatic film adapted from Tennessee Williams Pulitzer Prize winning play A Streetcar Named Desire. Brando perfected the role of Stanley by expressing words with his body language when dialogue was not coherent enough to portray his character. He worked alongside Vivien Leigh who played the southern belle Blanche DuBois who carried her role with elegance and passion all at once. This film is the epitome of stage to screen productions with an excellent cast, script, and beautiful production. Stanley yelling after his wife ‘Stella’ from the street with such passion, it sends shivers down to your spine. 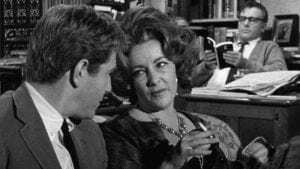 Two influential actors Elizabeth Taylor and Richard Burton star together in Mike Nichols directorial debut film Who’s Afraid of Virginia Woolf for an enigmatic performance. The film focuses on the troubles between a marriage when the pair invite a young couple over. Taylor’s and Burton’s characters are mentally torn to pieces from their dysfunctional marriage and the pressures on them to fulfil social expectations. This leads them to come up with unconventional coping methods that had been a private affair until this fateful evening followed by chaos and a realisation of their unhappiness. Nichols went on to work on other hard hitting films including The Graduate and Closer after this success. Mike Nichols went on to direct another stage to screen adaptation in his film Closer which was well received by critics once again. His meticulous direction is crucial to be able to carry out the language of the film and create dramatic force. It once again has a star cast including Jude Law, Natalie Portman, Julia Roberts and Clive Owen. They all produce stellar performances that explore jealousies and other troubles within dysfunctional relationships. The pair of couples engage in partner swapping which creates an element of paranoia between them, and make this a classic Stage to Screen adaptation. Enda Walsh adapted his coming of age play Disco Pigs after it gained immense popularity on tour. Walsh kept one of his original cast members from the stage, Cillian Murphy, as one of the protagonists ‘Pig’, and placed him alongside Elaine Cassidy who played ‘Runt’. The story revolves around the pair who were born in the same hospital, on the same day, and have lived next-door to each other their entire lives. The two are inseparable, living within a bubble and destroying anything which may threaten to burst it. However, the threat begins to form within themselves as they grow and their feelings change towards one another. Pig begins to want more than friendship but Runt does not feel the same, she begins to realise that there is more to the world and that it does not revolve around them. This is a film that became a classic among film lovers and is considered one of David Leans best films. 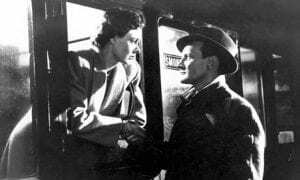 It is adapted from one of the ten shorts from Noel Coward’s play Still Life where two people from different marriages start an affair. Their relationship stems from a longing to feel something outside of their monotonous meaningless lives, but the battle with their morals stops the affair progressing too far. Audiences, as well as the couple, are left without closure and still longing from their incomplete parting after their goodbye gets interrupted. It evokes feelings from the audience leaving them emotionally unfilled and forever contemplating the ambiguous end, which is exactly what makes it a masterpiece. Director Baz Luhrmann dared to go out on a limb in this punky visually stunning adaptation of Romeo and Juliet. The star crossed lovers are played by the delicate Claire Danes and heartthrob Leonardo DiCaprio whose combined dulcet tones exaggerated the tragedy of their sweet and innocent relationship that lead to intensity. Luhrmann chose to stay true to the original script and had his cast speak in the Elizabethan language undeterred by the fact that it would deter younger audiences, but he managed the opposite. Young audiences were drawn in by the colour and chaotic romance that the film offered; the poetic language just enhanced its striking qualities. 400 years after the story was first performed, Luhrmann has done this piece a great justice that also manages to his contemporary audience. This play turned film is Ron Howard’s take on the interviews that were conducted between David Frost and Richard Nixon just after he resigned. Originally created as a stage-play by Peter Morgan, it was successfully turned into a film that stars Frank Langella and Micheal Sheen. The two successfully take on the intensity of the film which focuses on their interview that turned into an interrogation of the Watergate crisis. Their performances are riveting with an unbroken concentration throughout the course of the film making it an unnerving masterpiece. 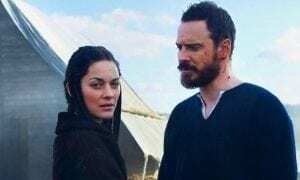 Marion Cotillard and Micheal Fassbender take the main roles in this film based on the infamous play Macbeth. The cast was carefully selected and interestingly created a mesh of accents that fitted the eery atmosphere of the film. The full force of sound and fury is carried through this film with its sublime scenery of rural Scotland and the belittling feeling it gives its cast, but nonetheless does not take away from the power of the script. Justin Kurzel added an extra chill to Shakespeare’s tragedy with this stunning adaptation. Starring Winona Ryder and Daniel Day-Lewis, this adaptation of Arthur Miller’s critically acclaimed play was a must watch at the point of its release. The director captures the town’s sudden frenzy as the paranoia that runs through it reaches the surface. Accusations are thrown left right and centre revealing the deepest secrets of the people who reside there and devaluing that reputations of a majority of them. 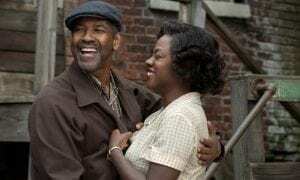 Set in Pittsburg in the 1950s and adapted from August Wilson’s 1983 award-winning play of the same name, Fences is the third feature from Denzel Washington in his directorial guise. The play was part of a bigger body of work titled The Pittsburgh Cycle which charters black lives across the decades of the 20th century. The film has been one the most long awaited projects of the last 30 years. After winning the Pulitzer prize in 1987, the play was to be adapted for cinema by director Norman Jewison and was supposed to star Eddie Murphy in the main role – however, Wilson made it clear that he would not allow the film to be made unless it was directed by a person of colour, citing the need for black representation in all aspect of cinema, not just in front of the camera. Fences is in cinemas everywhere from February 17th.